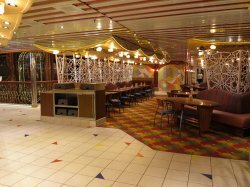 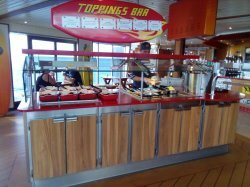 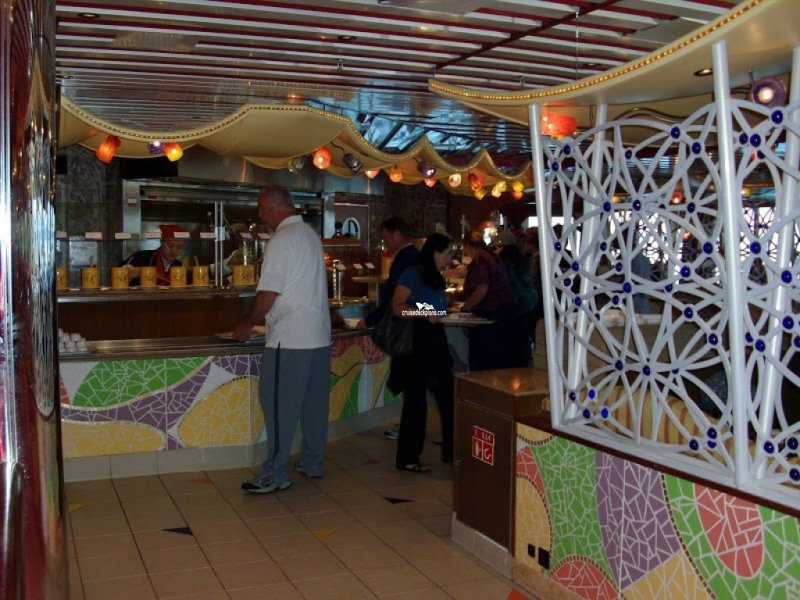 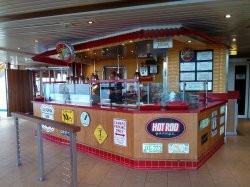 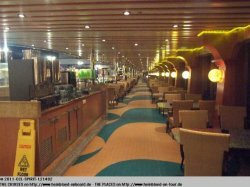 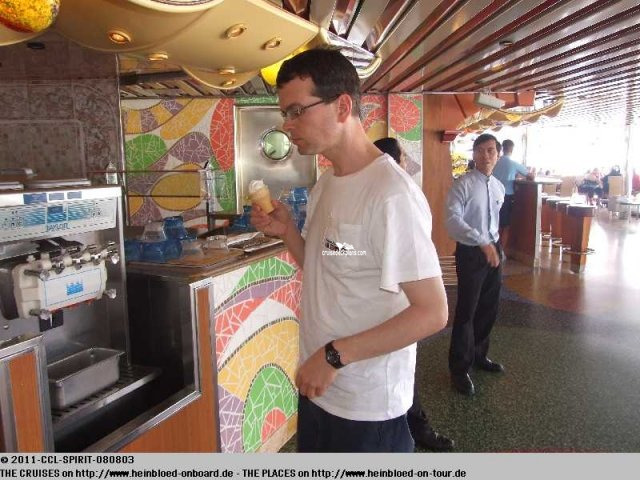 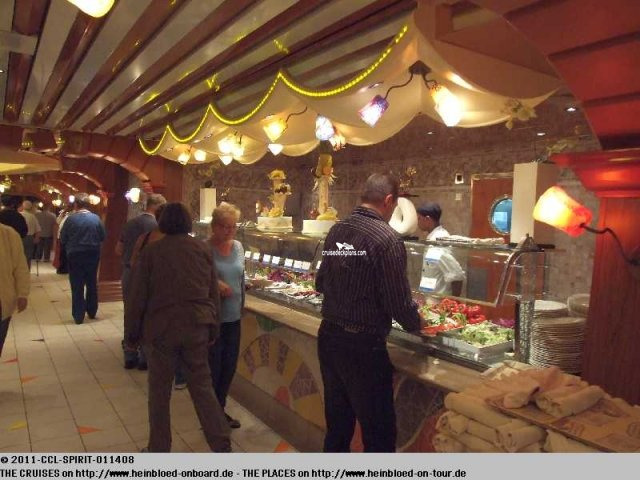 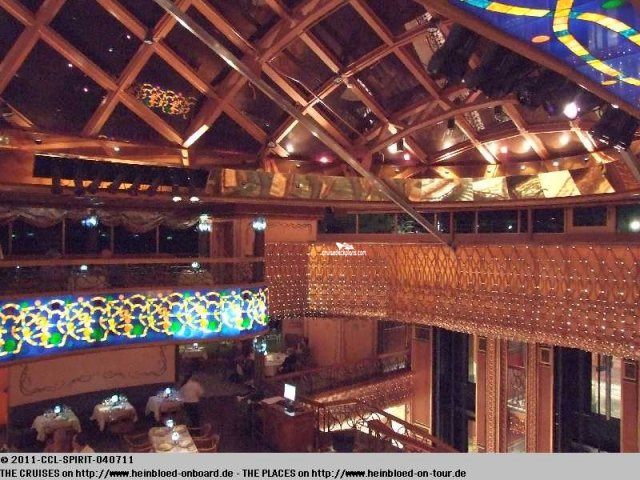 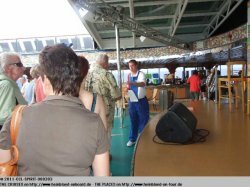 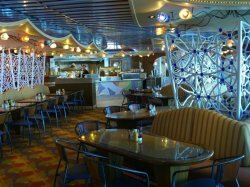 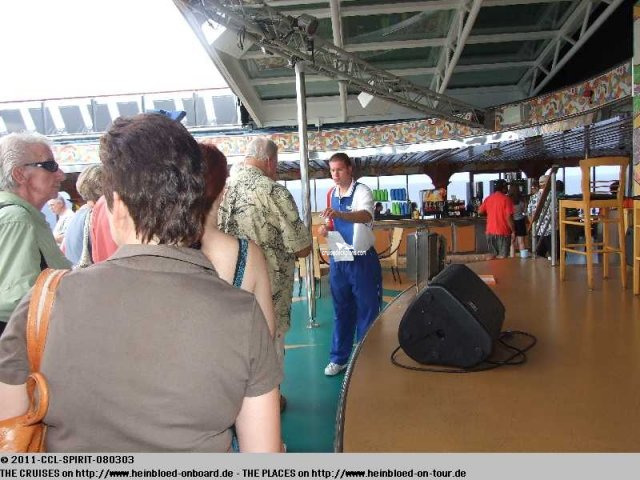 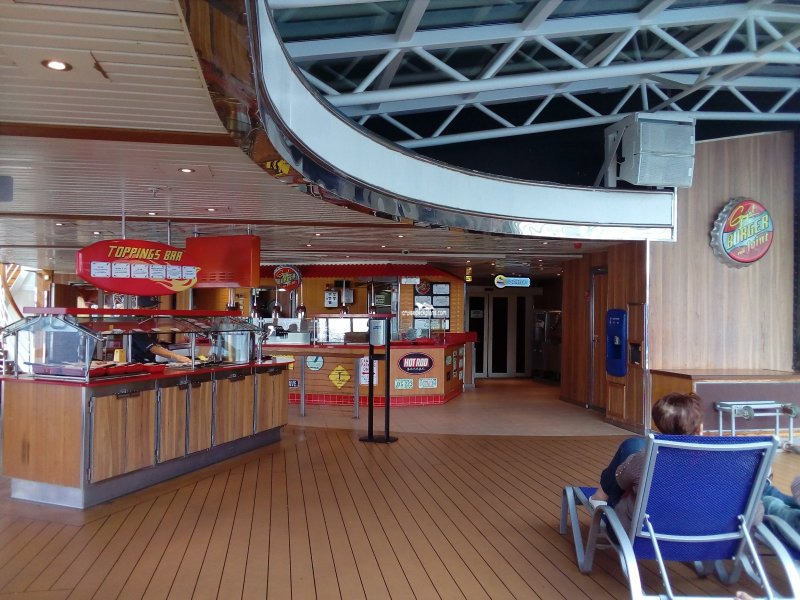 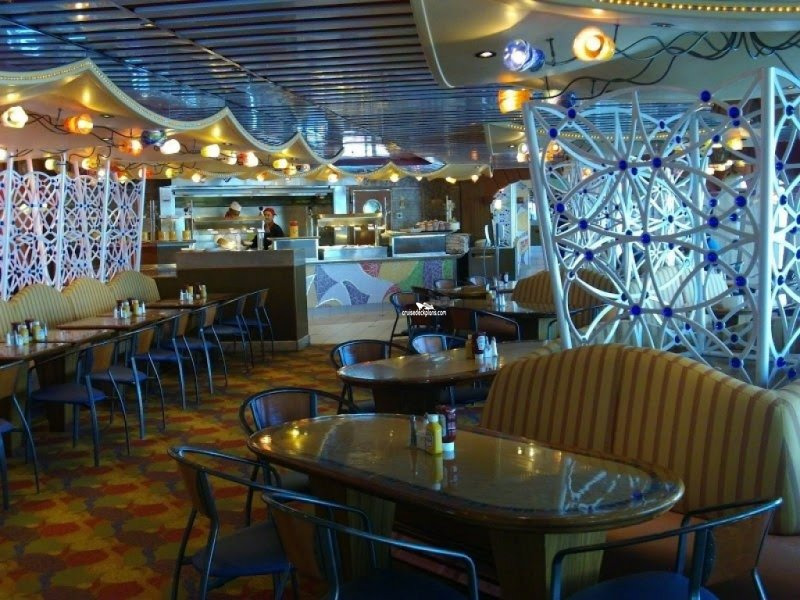 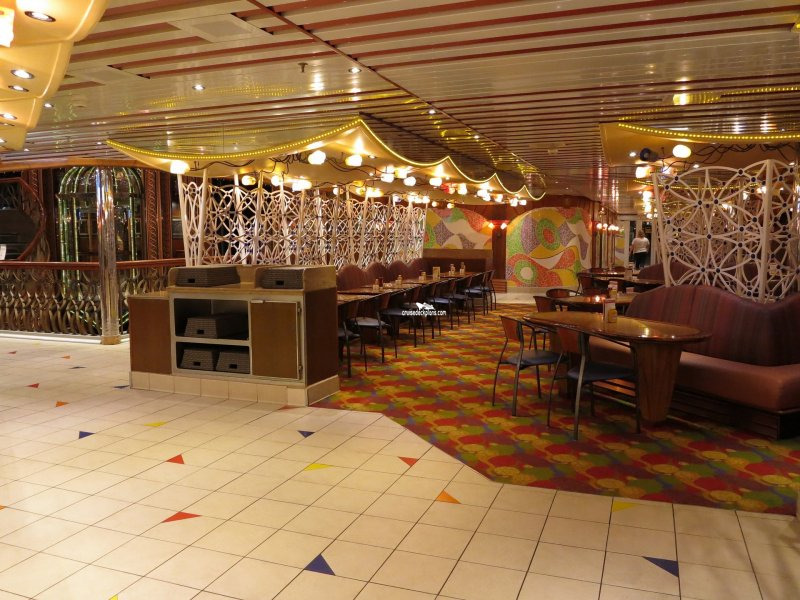 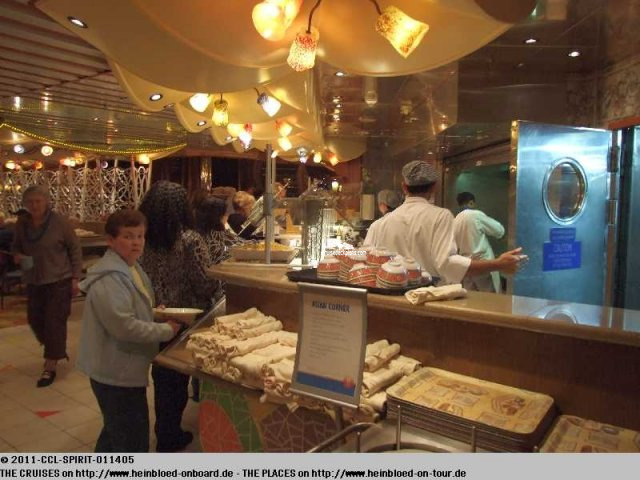 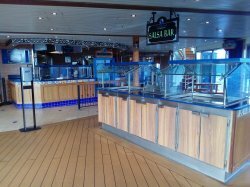 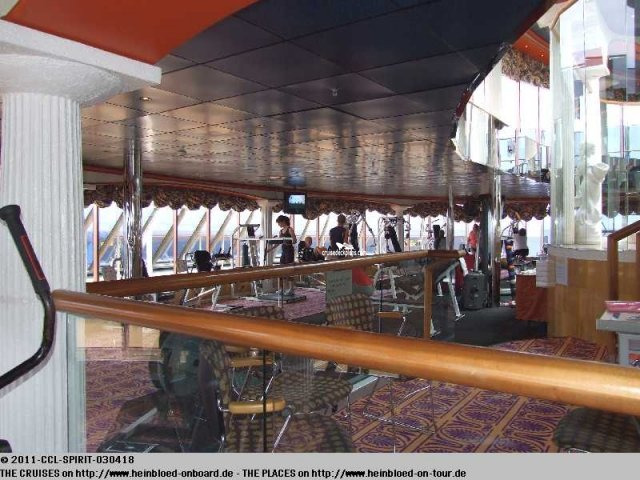 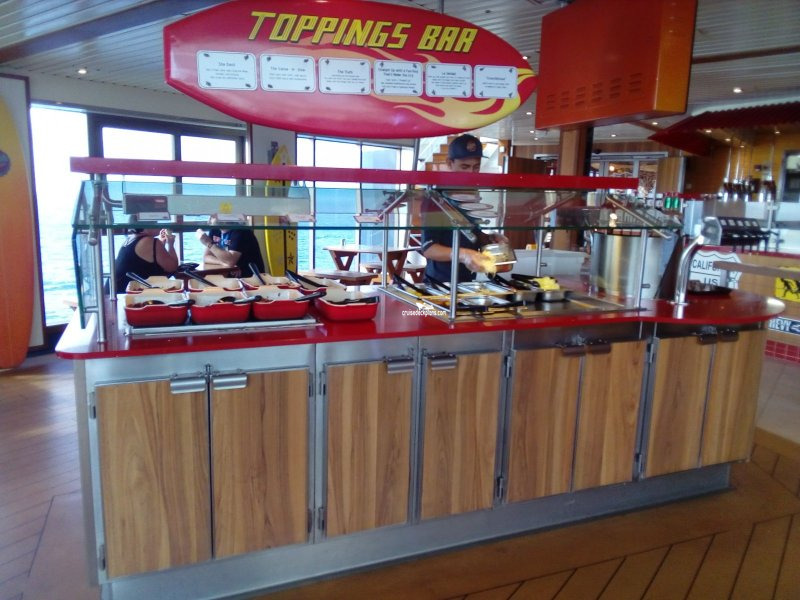 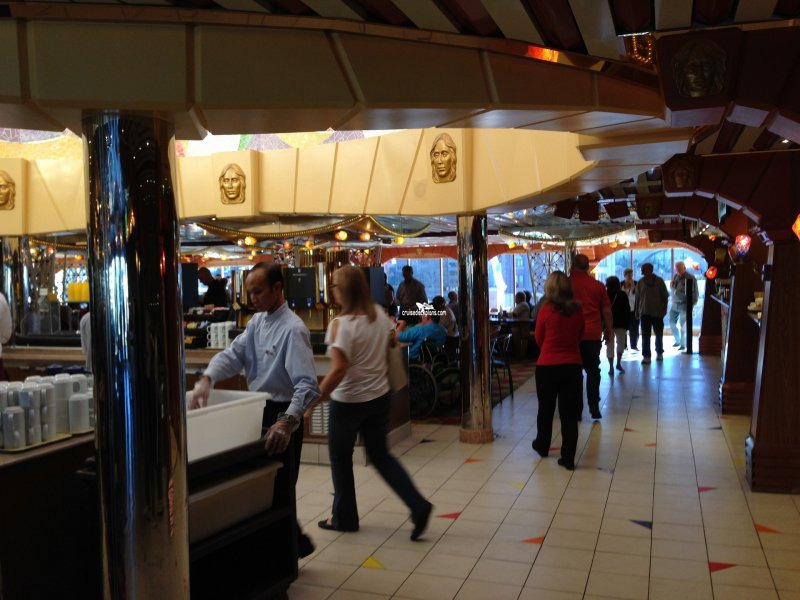 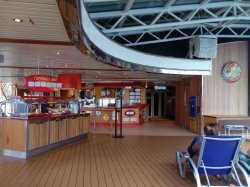 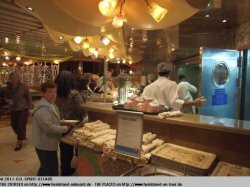 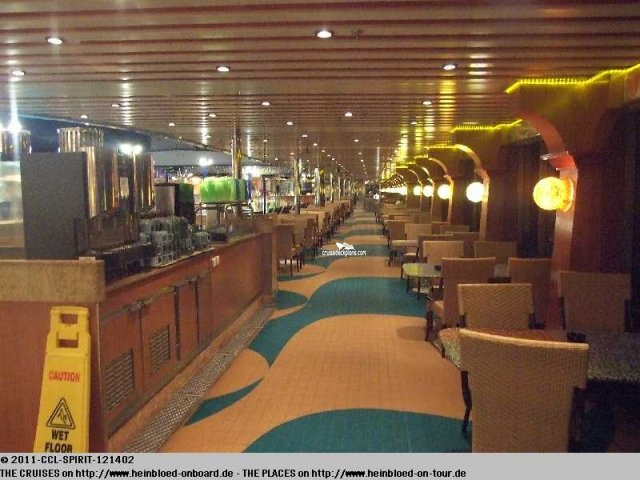 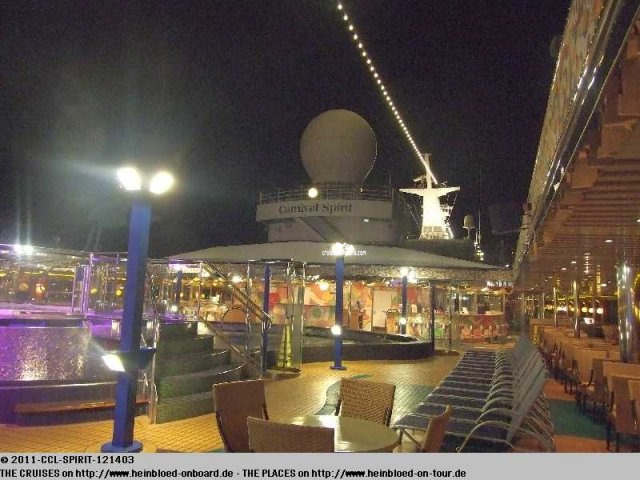 The ship's casual International Lido Restaurant with a capacity of 1458. 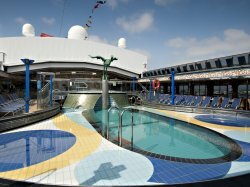 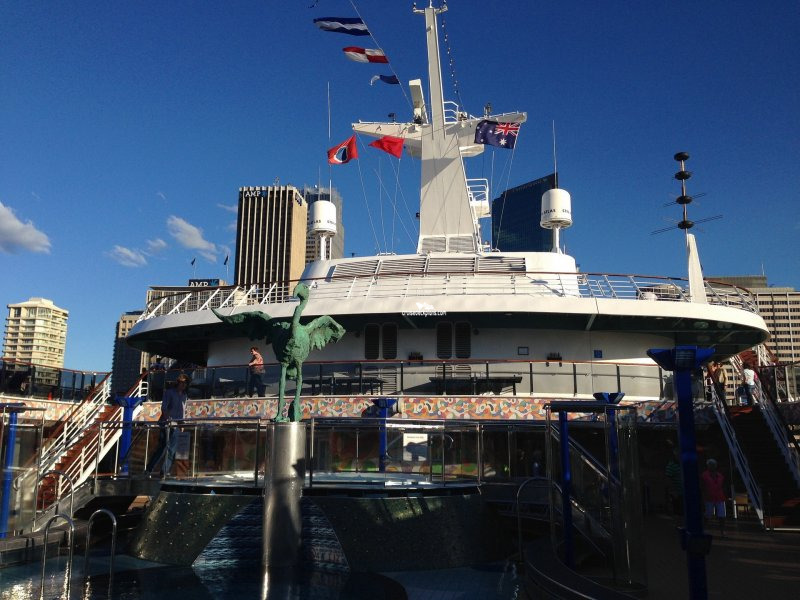 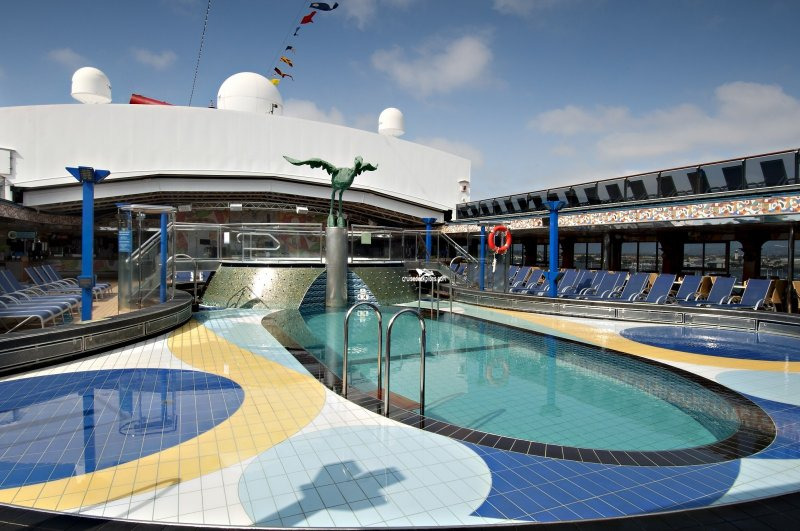 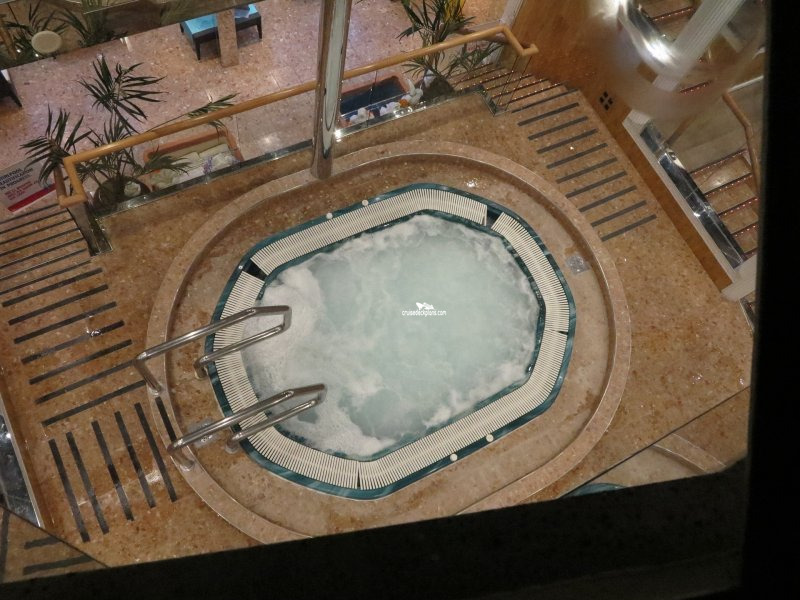 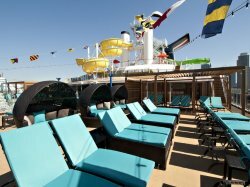 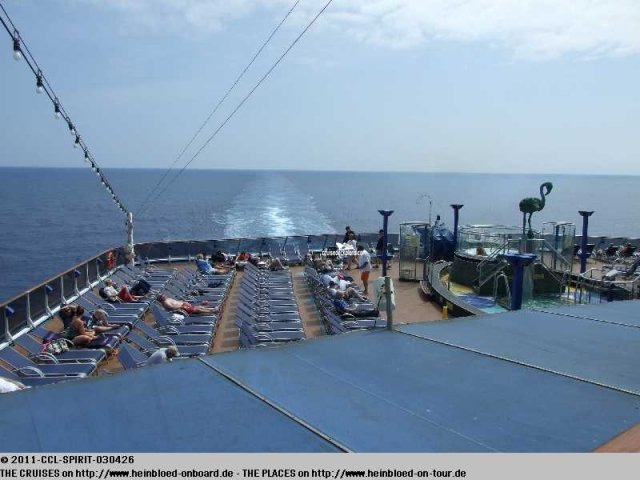 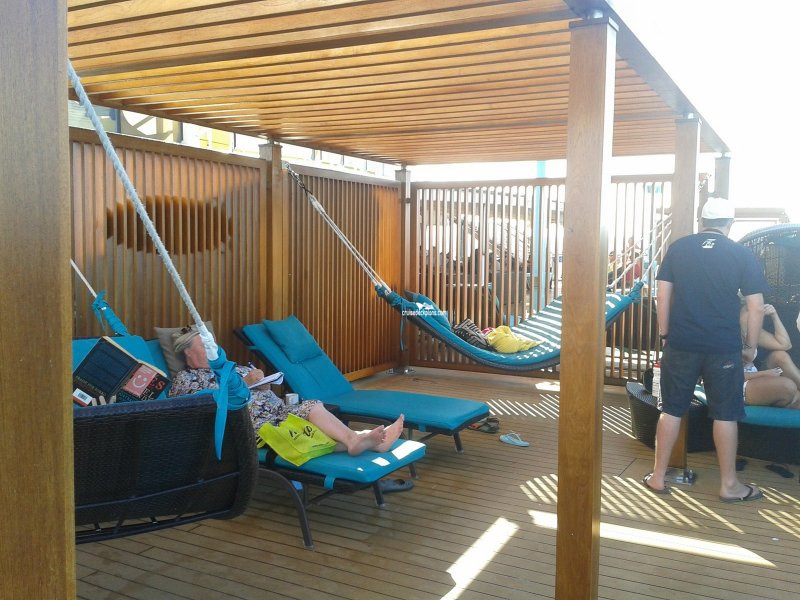 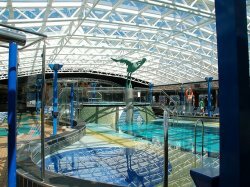 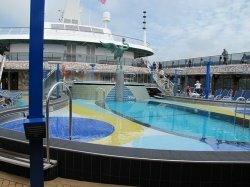 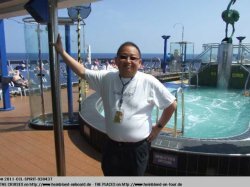 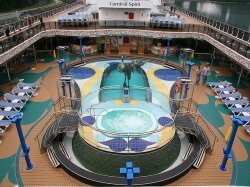 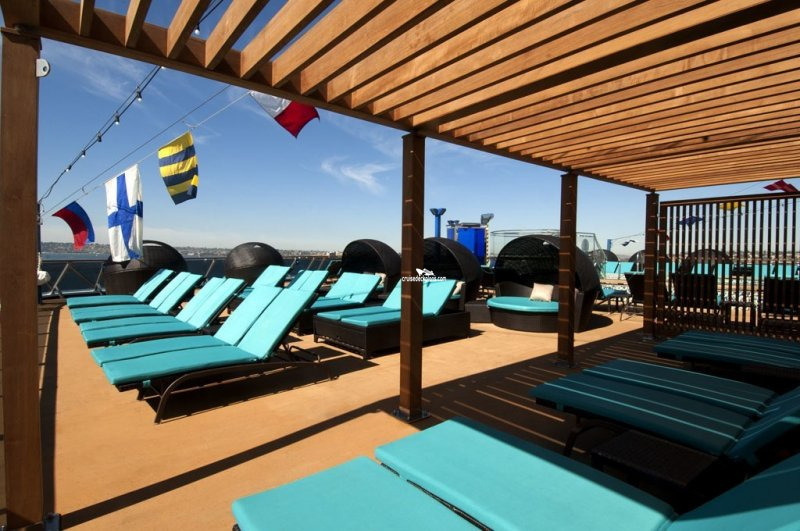 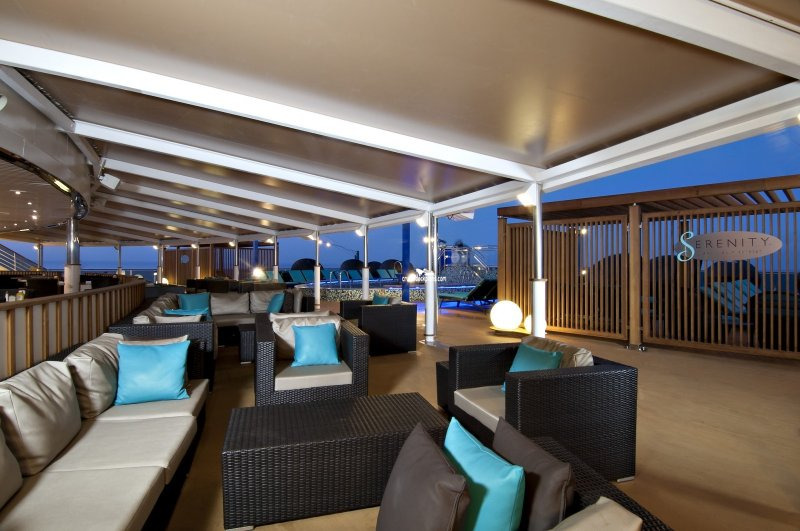 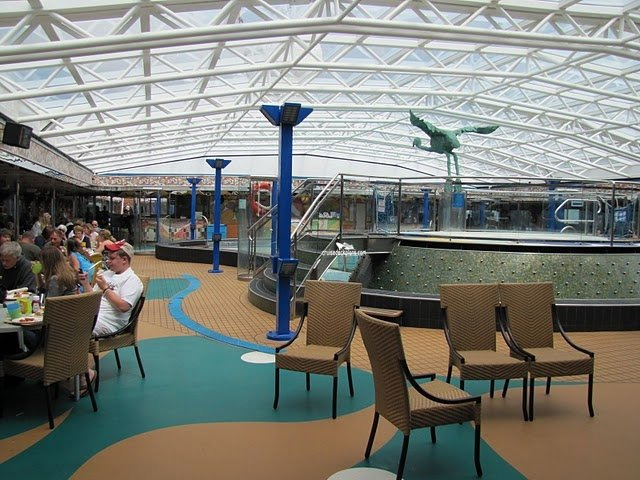 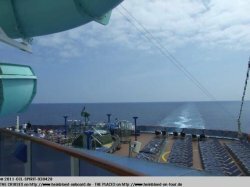 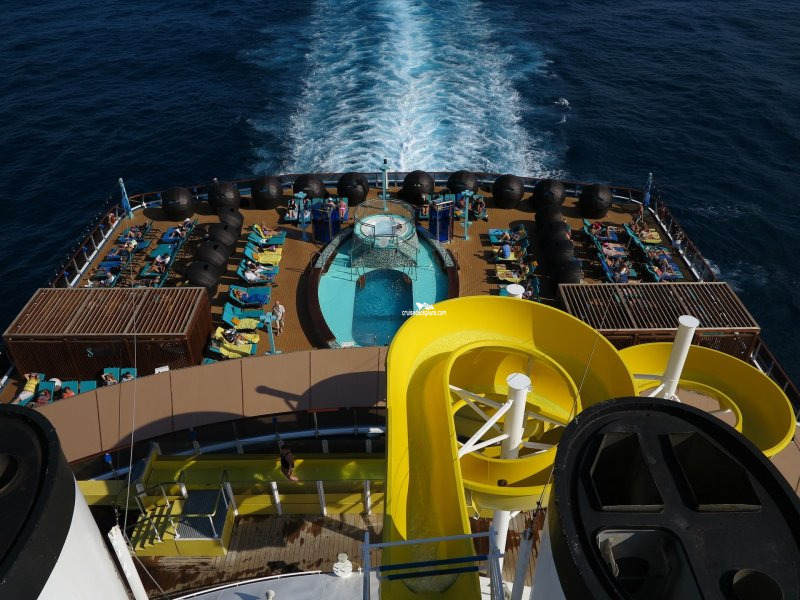 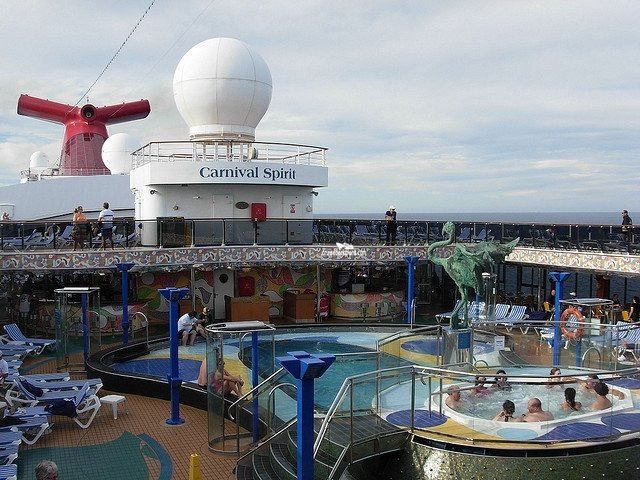 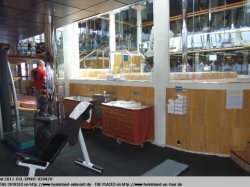 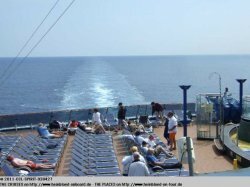 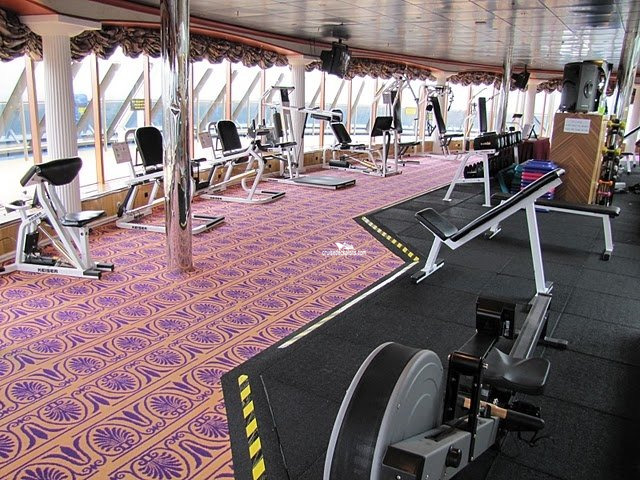 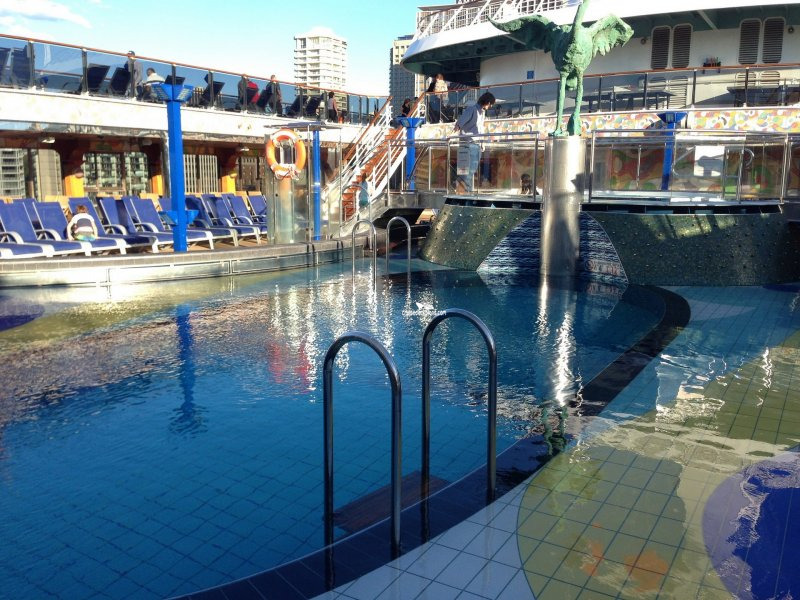 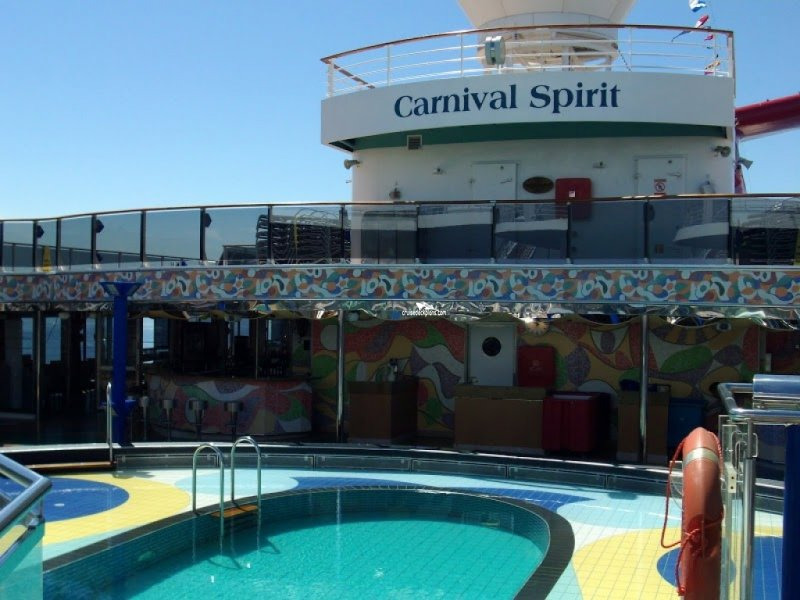 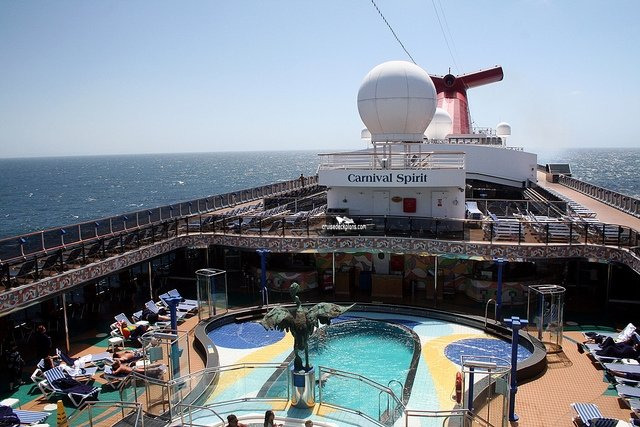 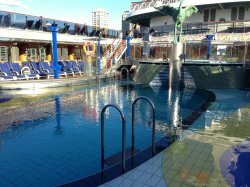 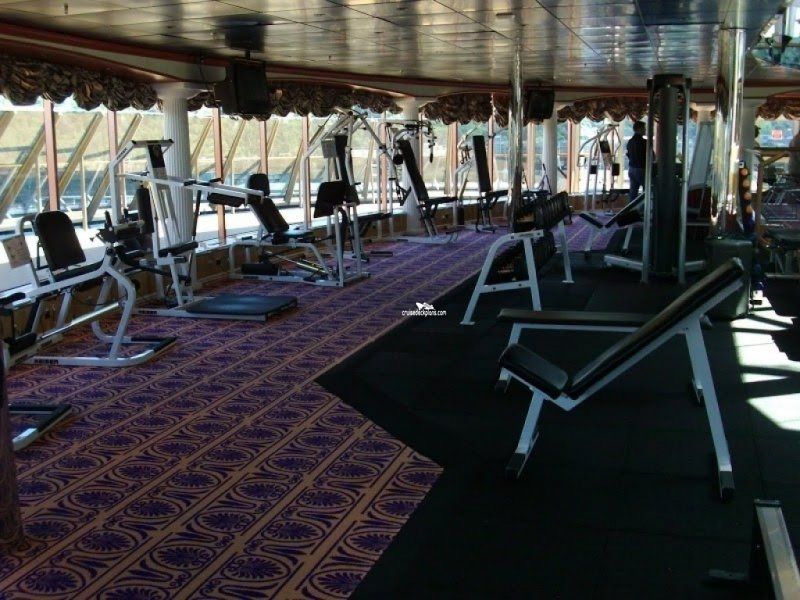 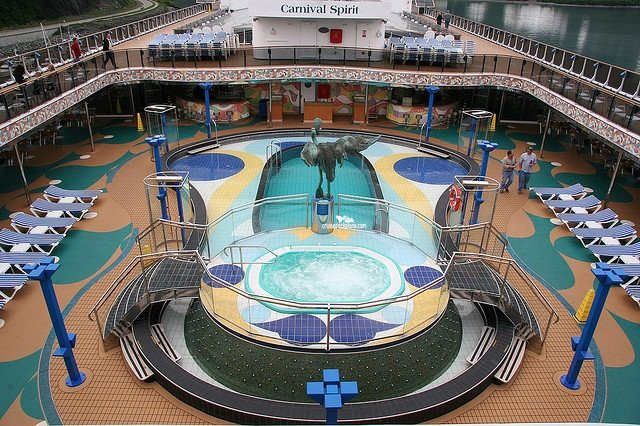 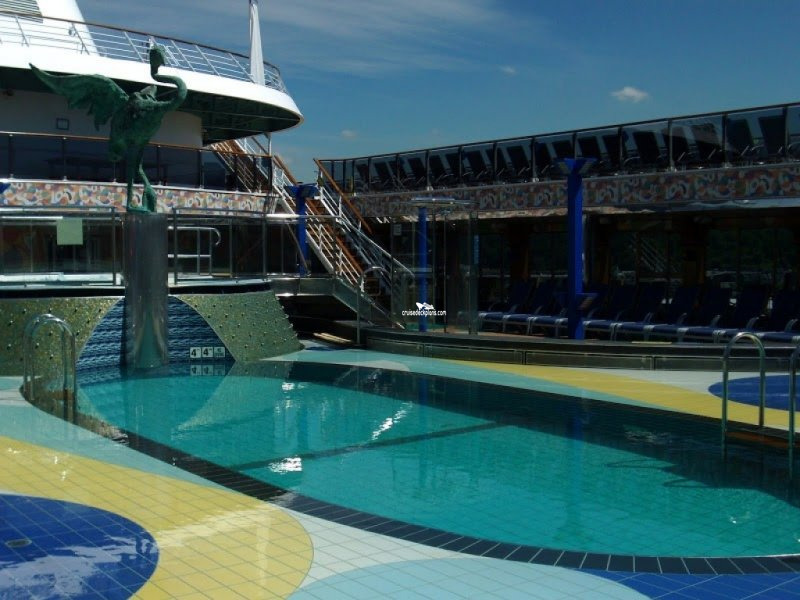 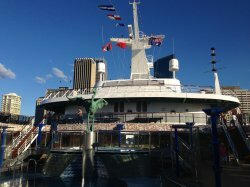 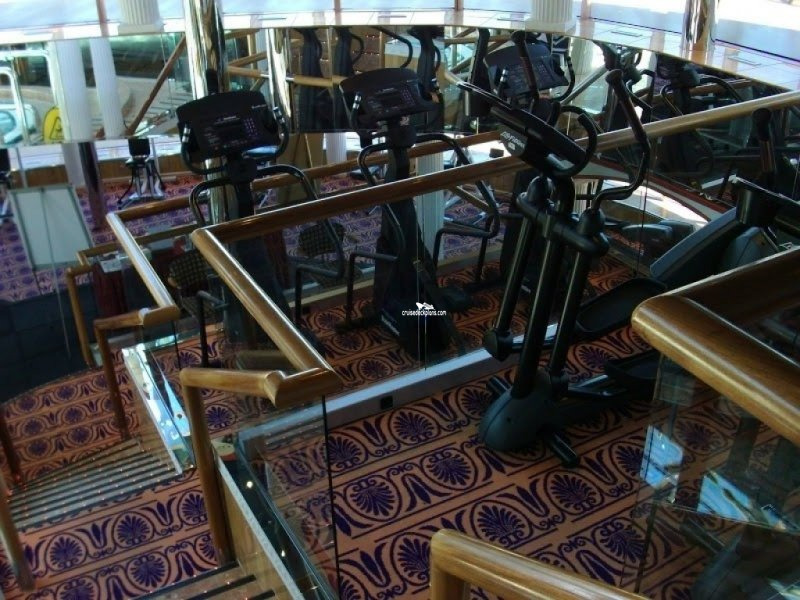 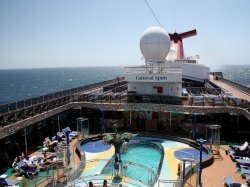 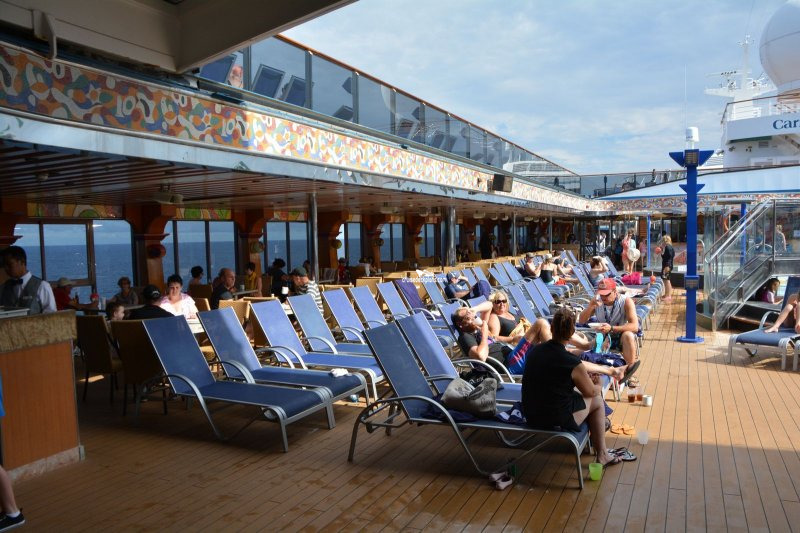 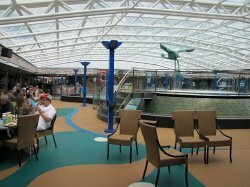 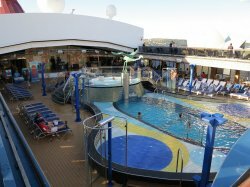 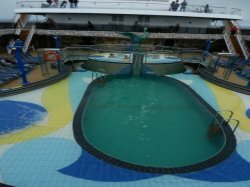 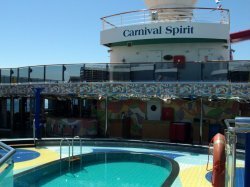 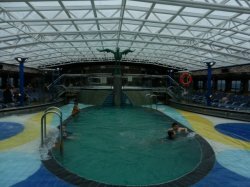 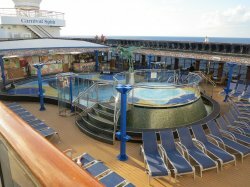 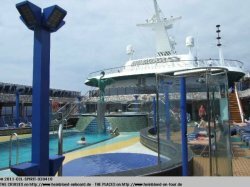 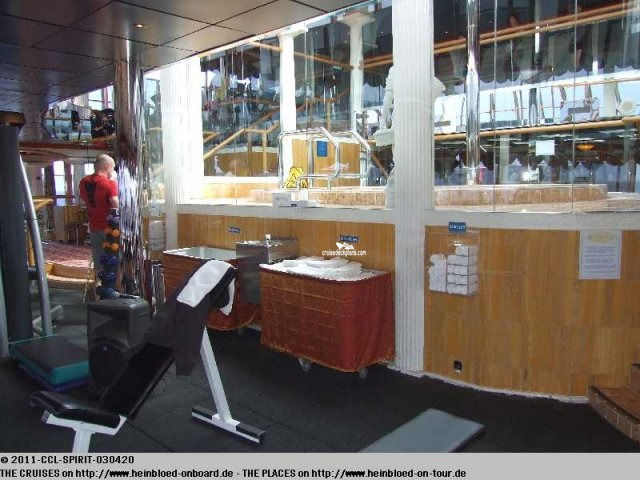 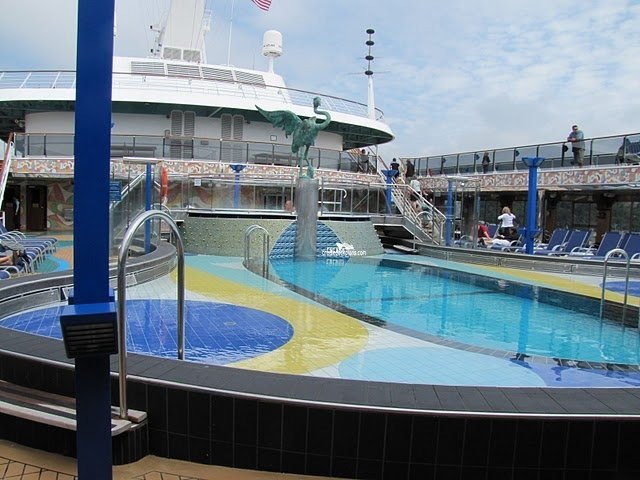 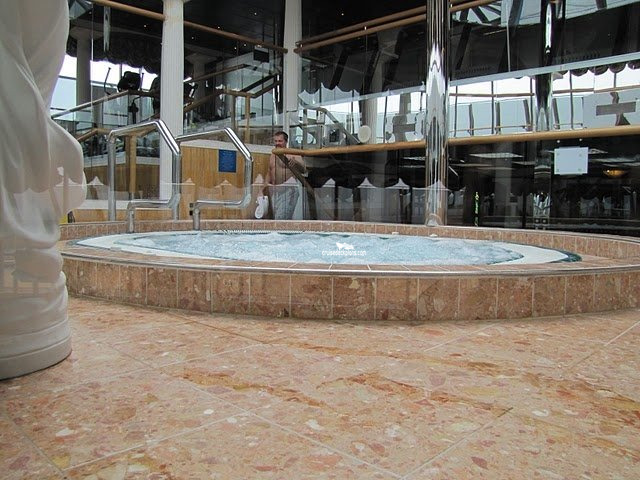 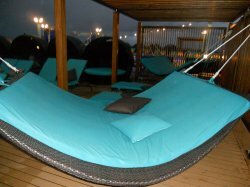 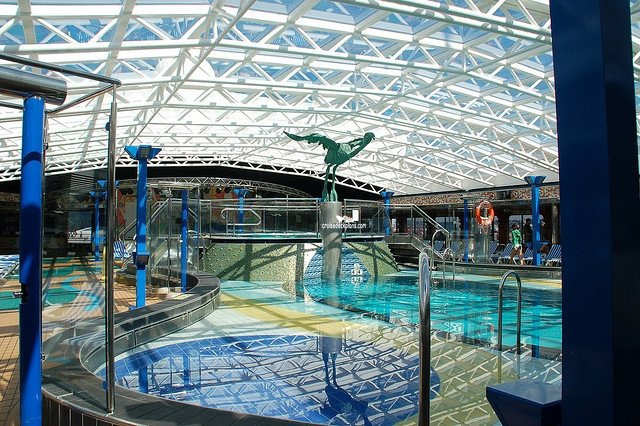 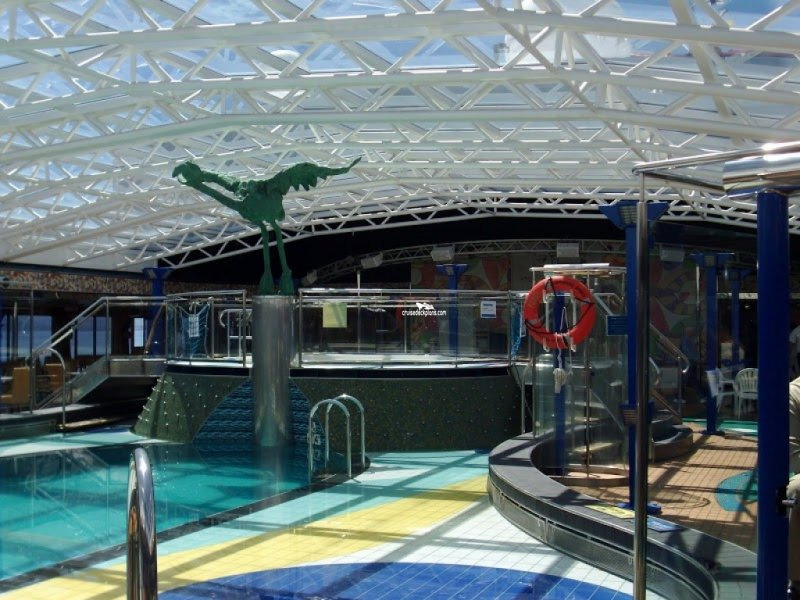 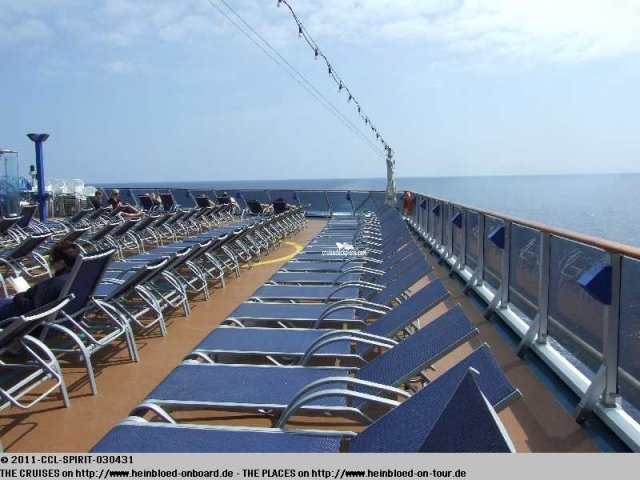 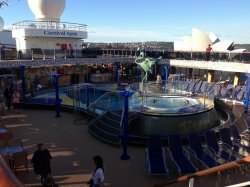 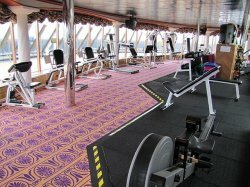 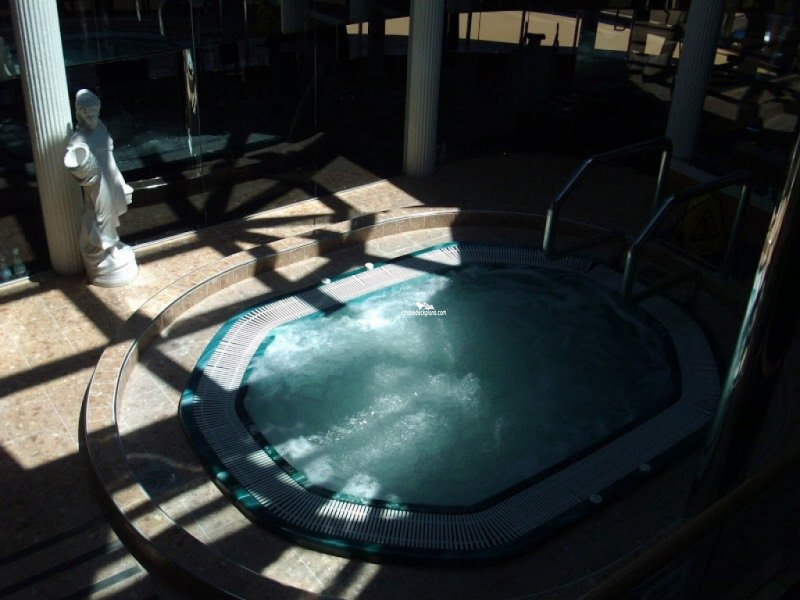 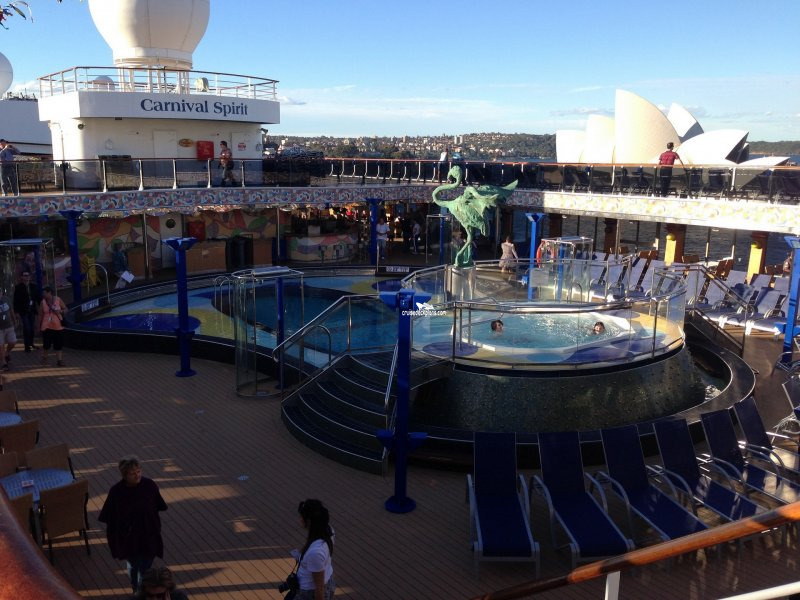 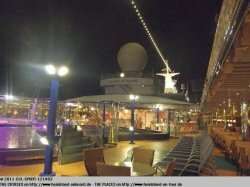 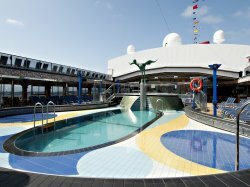 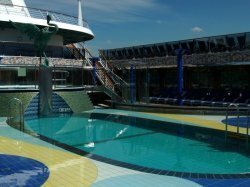 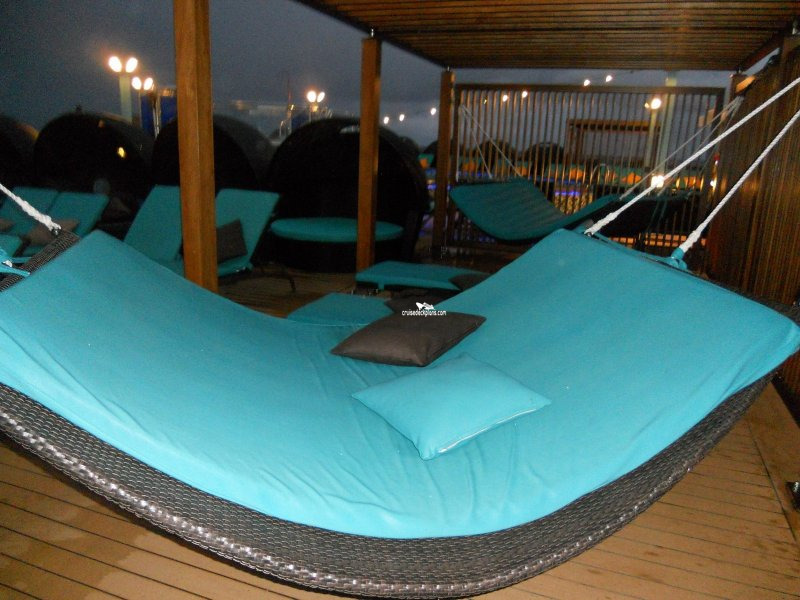 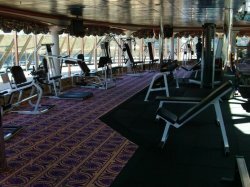 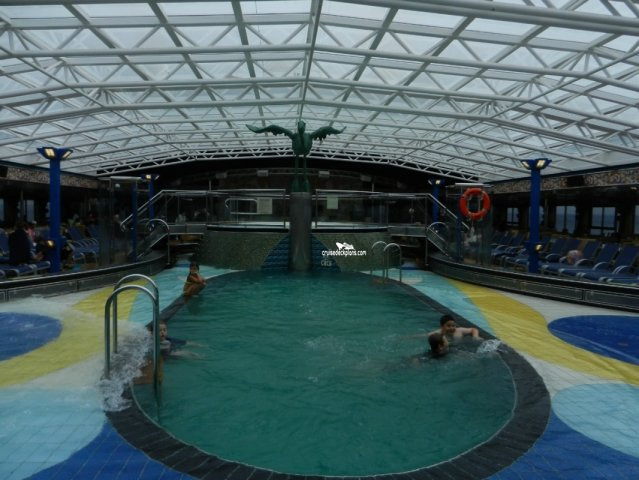 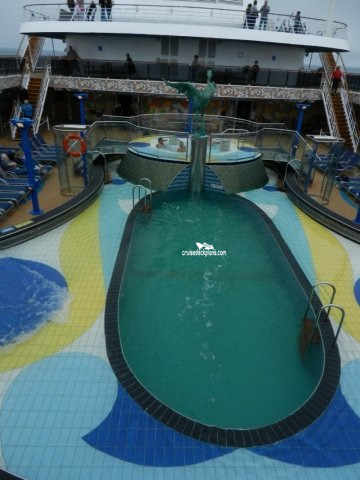 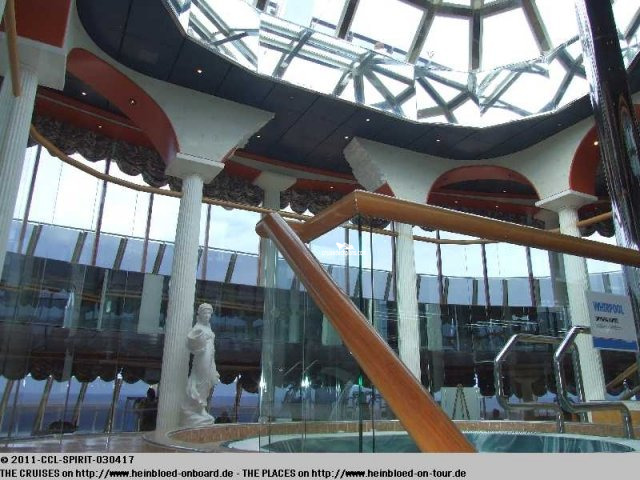 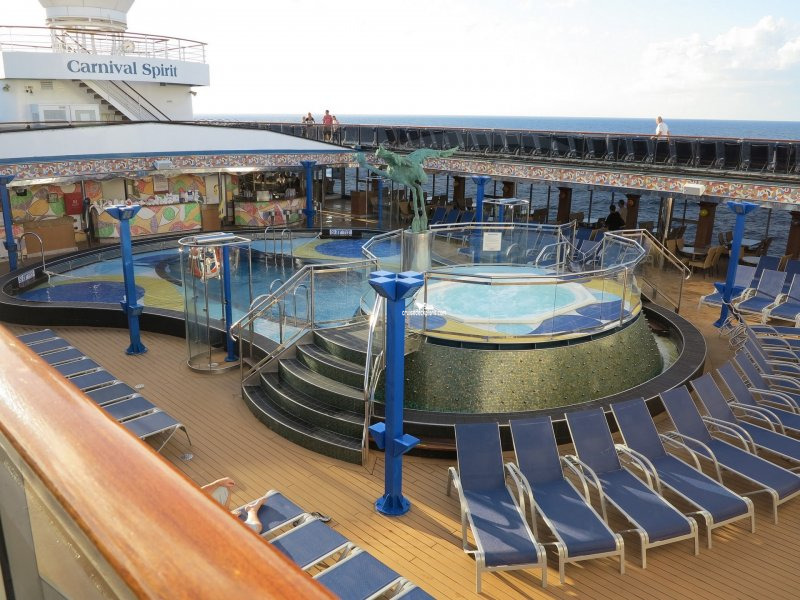 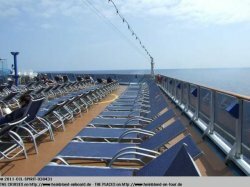 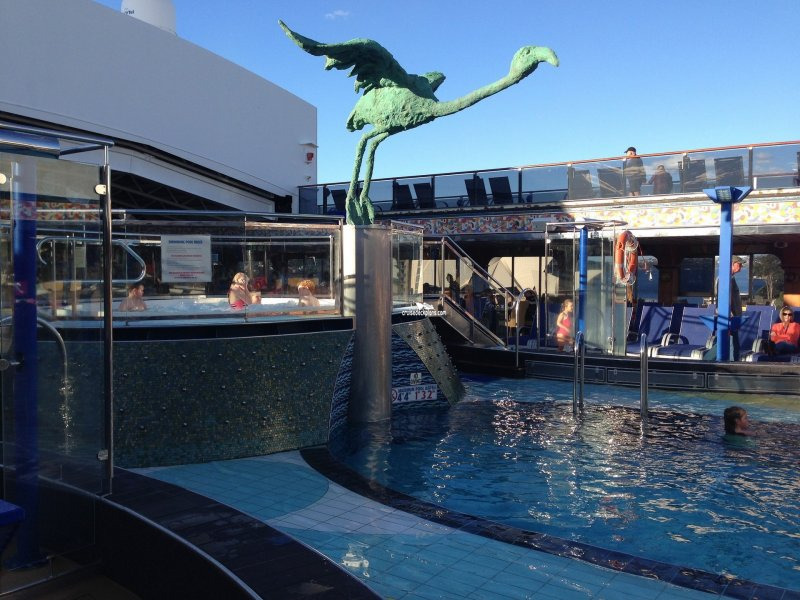 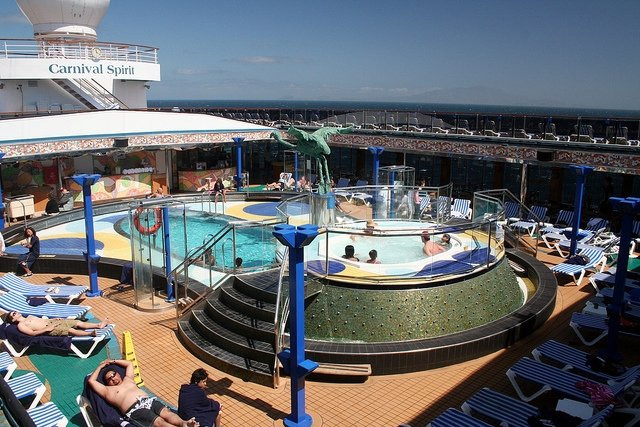 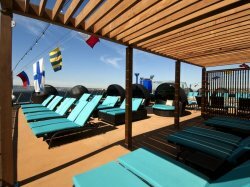 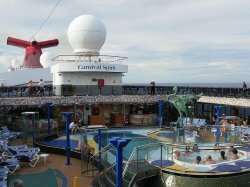 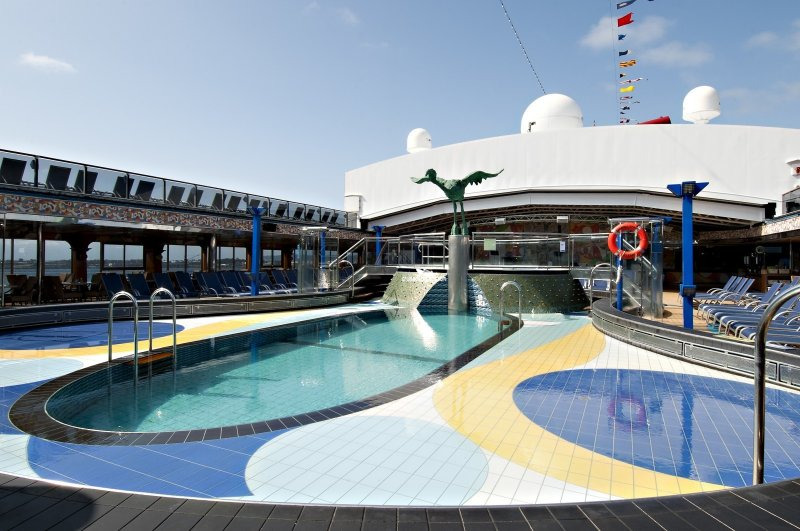 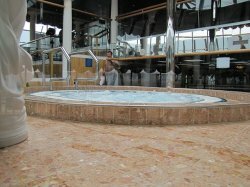 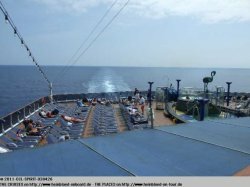 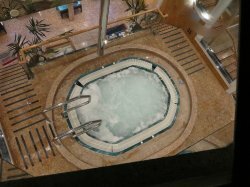 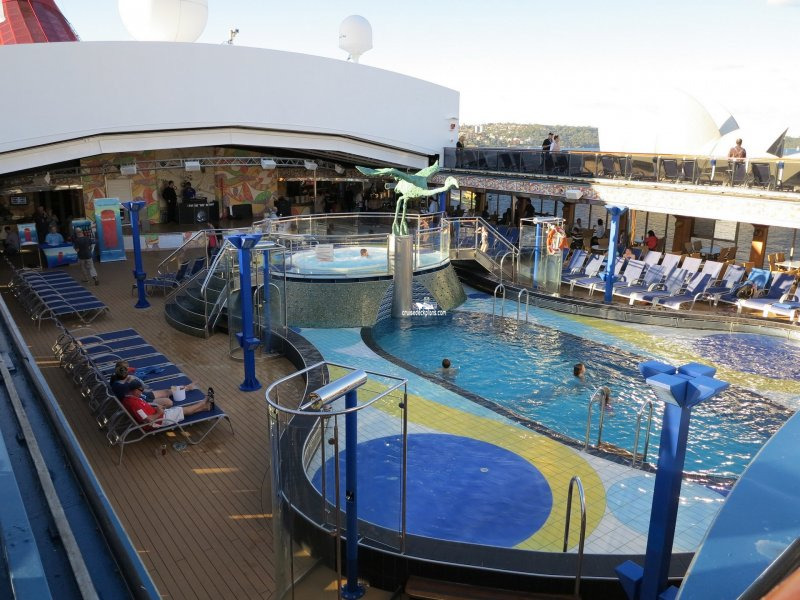 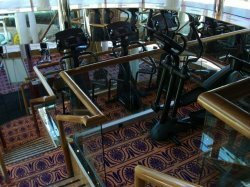 The ship's adult-only area that features a jumbo sized whirlpool, small swimming pool and luxury padded chairs loungers, chairs, sunbeds and hammocks. 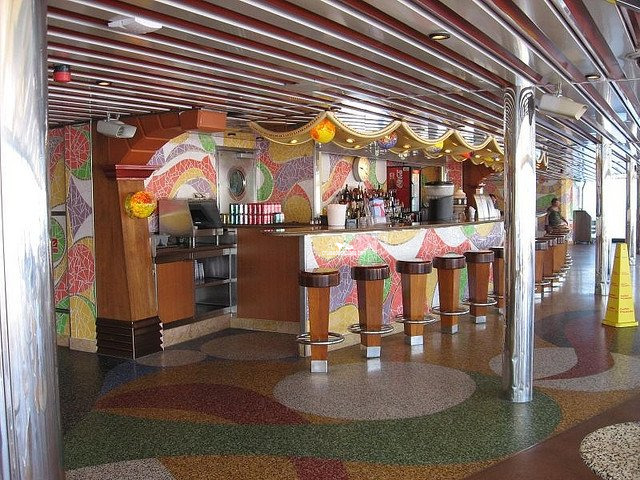 Join the party at this poolside bar featuring a great selection of frog-approved Caribbean rum-based concoctions available by the glass or pitcher, plus plenty of Carnivals signature private-label draft beer, ThirstyFrog Red. 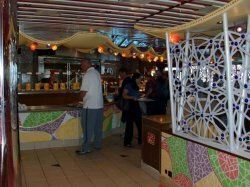 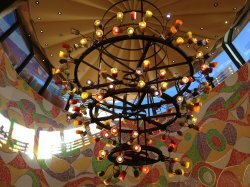 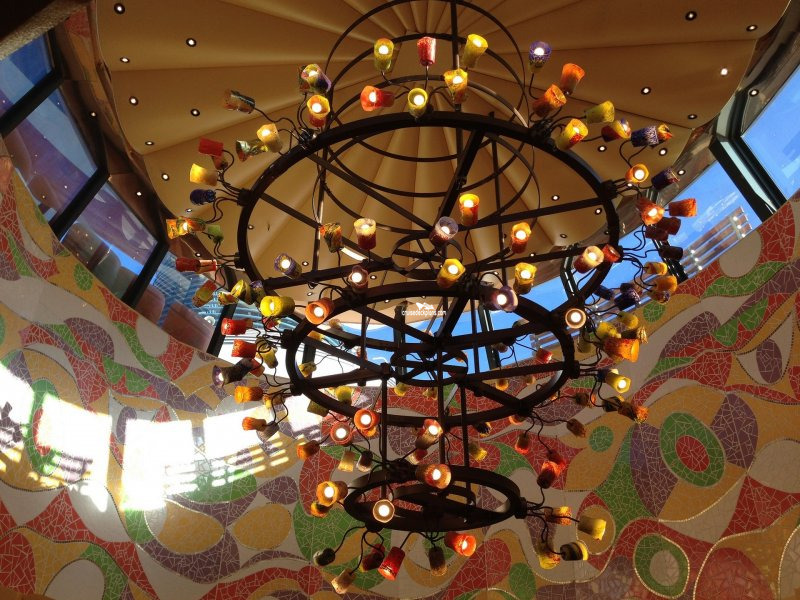 The menu offers up Mexican favorites, including several brands of tequila and a slew of Mexican brews. 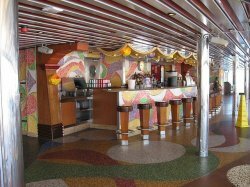 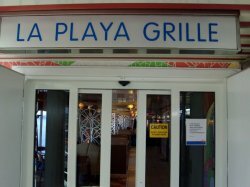 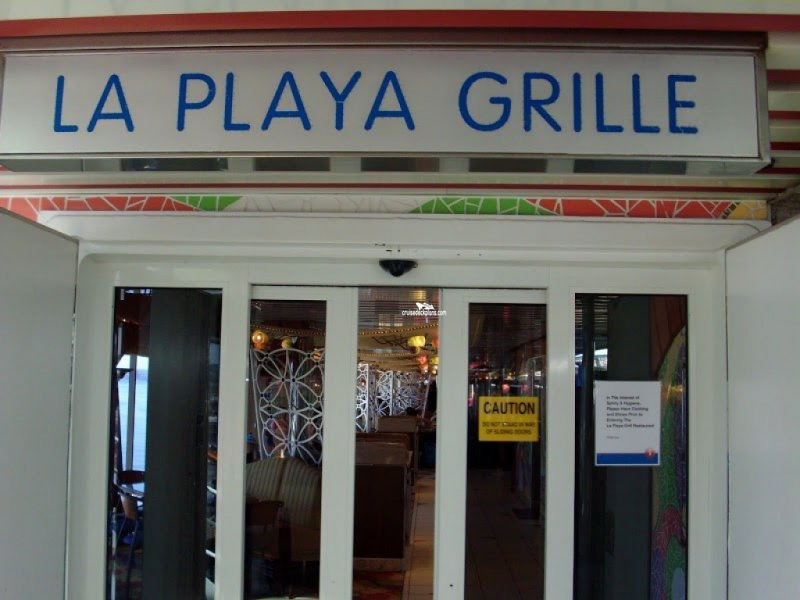 There is a lineup of frozen drinks, cocktails and margaritas served by the glass or by the pitcher, and even a special Mexican beer cocktail. 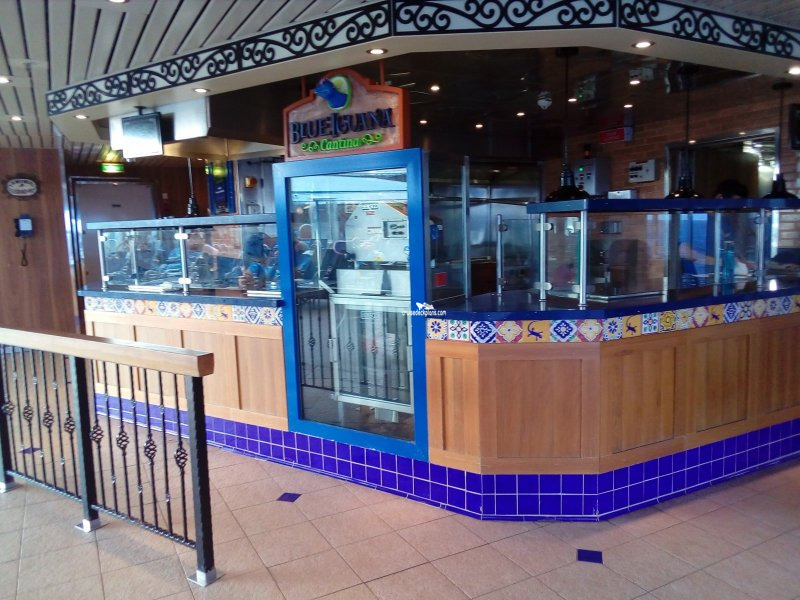 Features freshly made tacos and burritos stuffed specially for your enjoyment. Carnival has teamed up with best-selling author, restaurateur and Food Network personality Guy Fieri to bring all the authentic appeal of a roadside burger shack to Guys Burger Joint, the cool poolside spot for hot burgers and hand-cut fries.